As part of our ongoing commitment to ensuring that all Penn students have access to the tools and supports they need to thrive during their study at Penn, we are pleased to preview a series of initiatives designed to further enhance the success of our growing community of first generation and low income students. Since 2004, increased access to the transformative power of a Penn education has been one of our University’s highest priorities. In 2007, we were proud to become the largest school in the U.S. to pioneer all-grant financial aid. By 2017, 45 percent of Penn undergraduate students received financial aid, with an average award of $47,046. Our undergraduate financial aid budget for FY19 is slated at $237 million, an increase of more than 180 percent since 2005. And during this same period, the number of first generation students attending Penn has increased from 1 in 20 students to 1 in 8 students in the class that entered last fall. Over the past few years, to support our first generation and low income students, we have seen the founding of the Penn First student organization and the opening of the First Generation Low Income Program in the Greenfield Intercultural Center. This year, to further support our first generation and low income students, a group of faculty and campus leaders has been assessing new ideas and best practices in this area, doing extensive research and consulting widely with students and staff across the University. As a result of their efforts, we will take the following steps. We will create an Office of Penn First Plus Students, providing expanded programs and financial support for our First Plus undergraduates. The Penn First Plus Office will offer a central, supportive home at Penn where undergraduate students can form a vibrant community, learn more about resources and connect with faculty and alumni. Leading this office, a new Executive Director for Penn First Plus Students will further enrich the educational success and campus life of our undergraduates. 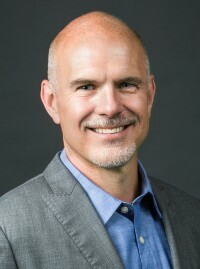 The Executive Director will implement new programs, strengthen connections to faculty and alumni and provide a central hub and strategic vision to sustain these efforts. Two Faculty Directors, one from a humanities/social science discipline and one from a STEM discipline, will further our students’ academic development. Designated First Plus liaisons in each undergraduate school will also work closely with our undergraduates to understand their specific needs and goals. We look forward to sharing more details about Penn First Plus in the fall semester. We are grateful to the many members of the Penn community who over the past six months shared their perspectives and ideas. Penn First Plus is the latest step in our comprehensive efforts toward an ever-better, more inclusive and vibrantly diverse academic community. The very highest priority of this University has been and continues to be the success and well-being of all Penn students. See the 2017-2018 Annual Reports of the Faculty Senate in this week’s supplement. 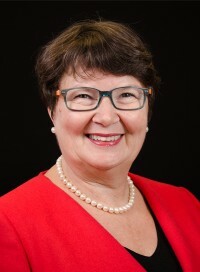 Doris Wagner, professor of biology, has been named Robert I. Williams Term Professor of Biology. 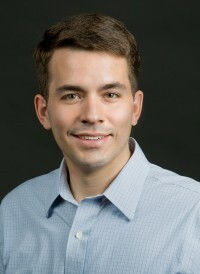 A leader in the fields of plant biology, chromatin modification and epigenetics, Dr. Wagner’s research focuses on understanding at the molecular level the complex changes that occur when an organism switches developmental programs. Specifically, she and her team investigate the vital transition from vegetative to reproductive development in the plant model system Arabidopsis thaliana. 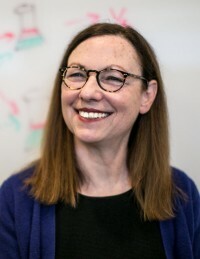 Her work has revealed how environmental and developmental cues are integrated to modulate the activity of select master regulator proteins and how this subsequently directs chromatin reprogramming to enable establishment of new cell identities. She is committed to science education, undergraduate research and innovation in teaching, participating annually in the Biomedical Research Academy for high school students and leading several workshops at Penn’s Center for Teaching and Learning. 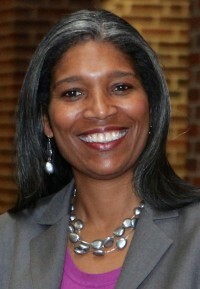 In addition to her service as Graduate Chair of Biology, she has served on the Penn Arts and Sciences Curriculum Committee, the Penn Women’s Biomedical Society, the Penn Epigenetics Program Executive Board, the Penn Genome Frontiers Institute Executive Board, the University Genomic Initiative Committee and the University Graduate Council. The Robert I. Williams Endowed Term Chair was established in 2006 by Paul C. Williams, W’67, PAR’03, in memory of his father. Mr. Williams recently retired from Nuveen Investments, LLC, where he was managing director of new product development for Nuveen’s complex of closed-end, exchange-traded funds. 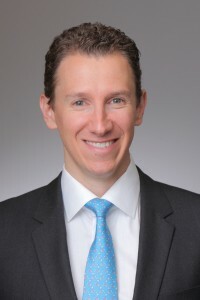 He previously directed Nuveen’s municipal bond research and investment banking departments and served on the firm’s Management Committee. At Penn, Mr. Williams has been an engaged and effective volunteer leader and has served in a variety of roles. He is an emeritus trustee of the University, an emeritus member of the Board of Overseers at Penn Arts and Sciences and a former president of Penn Alumni. 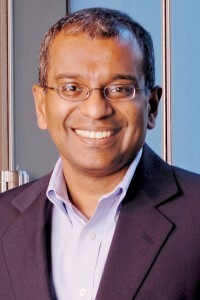 In 2011, he earned the University’s Alumni Award of Merit. He also served on the former Biology Department Advisory Board. In addition to his volunteer engagement, Mr. Williams has been a generous supporter of faculty, students, capital projects and programs across the University. 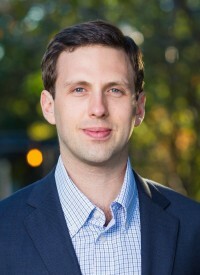 This year’s recipient of the Helen Kardon Moss Anvil Award is Emil Pitkin, lecturer and research scholar in statistics. 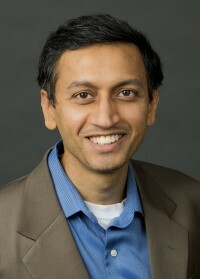 The award is presented annually to a member of the Wharton MBA faculty who exemplifies outstanding teaching quality in the classroom. 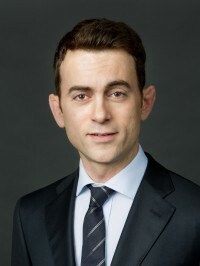 The Class of 1984 Award is presented annually to the member of the Wharton MBA faculty with the highest average instructor rating on his or her course evaluations over the previous two semesters (Fall 2016 and Spring 2017). 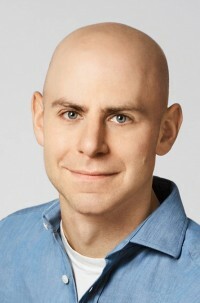 This year’s recipient is once again Adam Grant, Saul P. Steinberg Professor of Management and professor of psychology. This is his seventh consecutive year winning this award. Beginning this fall, PennDesign and the School of Social Policy & Practice (SP2) will offer a dual master’s program in fine arts and social work. The program will offer students the opportunity to earn both a master of fine arts degree and a master of social work degree over three years of study. It will be the first dual degree program in the country to train students as professional studio artists and social-work practitioners, with a focus on the integration of art and social justice. The MFA/MSW curriculum addresses the needs of two sets of students: those in the arts who are looking for professional credentialing and a career in social justice, and those in social work who are seeking to integrate the arts into their practice as MSW-credentialed service providers. The creators of the program seek to attract artists and community activists and expect the program to generate new scholarship and research opportunities and enhance the ability of both schools to recruit students from underrepresented communities. “The program sprung out of collaborative work that was already being done between faculty in the two schools,” he said. The proposed curriculum utilizes current classes and current faculty in both SP2 and PennDesign. No new administrative staff, faculty hires or faculty overloads will be necessary to launch the program. The program expects to launch with three students. The development of the dual MFA/MSW program overlaps with an “ethnographic turn” in contemporary art, said Ken Lum, professor and chair of the department of fine arts at PennDesign. At the same time, a reciprocal shift is also underway in social work. “These disciplines have been turning to aesthetic practices in order to question the operations they’ve been under for a long time,” says professor Lum, who co-curated the public art and history project Monument Lab in Philadelphia in 2015 and 2017. In spring 2018, for the first time, students at Penn had a chance to take an elective class called Art and Social Work: Art and the Ecology of Justice, co-taught by three faculty members from PennDesign, SP2 and the School of Arts and Sciences. Integrating scholarship and material from multiple disciplines, the class sought to engage MFA and MSW students in the theories, histories and practices of social change that shape—and are shaped by—art practices. The class will serve as an integrative seminar for students in the dual degree program, laying the groundwork for a multidisciplinary approach to social change through art. 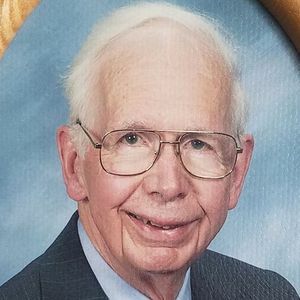 Kenneth A. Fegley, professor emeritus of electrical and systems engineering in Penn’s School of Engineering and Applied Science, died January 15. He was 94. Dr. Fegley earned his bachelor’s degree in 1947, his master’s in 1950 and his PhD in 1955, all in electrical engineering at Penn. 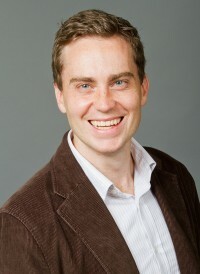 During his graduate studies he worked as a researcher, then as an instructor, and he published several reports and papers. In 1955, Dr. Fegley became an assistant professor in what was then known as the University’s Moore School of Electrical Engineering. He spent a year as visiting assistant professor at MIT before his promotion to associate professor at Penn in 1958. He was promoted to full professor in 1966. 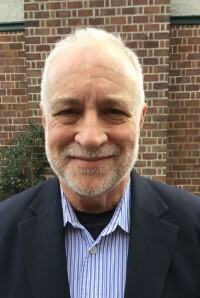 He taught many courses, performed groundbreaking research, some in cooperation with industry, and published papers on complex interdisciplinary projects. When the Moore School was reorganized into four departments, he and Nelson Dorny, now emeritus professor of systems engineering, were charged with developing the program for the department of systems engineering, one of the country’s first. They developed several new courses with manuals, such as systems optimization and a system integration lab course, including a management structure. In 1986, the civil engineering department and the systems engineering department merged, and the new department was broadened to include not only electrical but also transportation, manufacturing and environmental systems engineering. 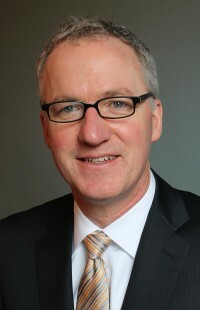 Dr. Fegley was appointed chairman of the new department. 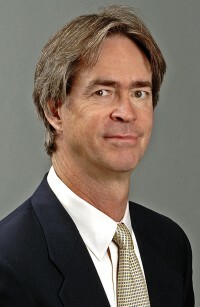 In 1990, he was named the Joseph Moore Professor of Systems. 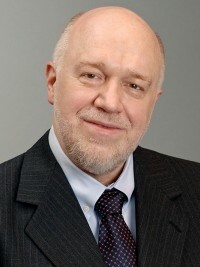 A Fellow of the Institute of Electrical and Electronic Engineers (IEEE) and former chairman of the Philadelphia section, Dr. Fegley was the single or leading author of about 30 papers and numerous technical reports and co-author on many others by his graduate students. 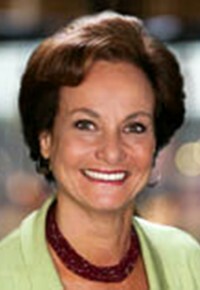 Dr. Fegley retired in 1994. He is remembered by alumni, faculty and professional colleagues as an innovative and dedicated professor, an excellent administrator and a dear friend. Dr. Fegley is survived by his sons, Alan (Claire), John and Paul (Gail); his grandchildren Devon Adams (Douglas), Erin Kaplan (Ari), and David; and great-grandchildren Avery and Grayson Adams and Chase Kaplan. The Division of Public Safety is committed to enhancing the quality of life for the campus community by integrating the best practices of public and private policing with state-of-the-art technology. A critical component of a comprehensive security plan using state-of-the-art technology is Closed Circuit Television (CCTV). 39th St. & Baltimore Ave.
40th St. & Baltimore Ave.
41st St. & Baltimore Ave.
42nd St. & Baltimore Ave.
Steve Murray Way & Chestnut St.
Steve Murray Way & Sansom Sts. 100 Block of S. 37th St.
Translational Research Labs, 31st St.
Civic Center Blvd. at East Service Dr.
Convention Ave & Health Science Dr.
East Service Dr. and Health Sciences Dr.
Two Penn faculty have been elected to the National Academy of Sciences: Shelley Berger and Karen Goldberg. 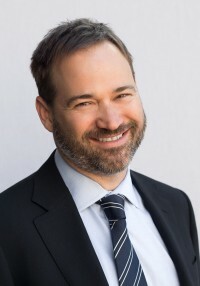 Dr. Berger is the Daniel S. Och University Professor and Penn Integrates Knowledge Professor, with appointments in Perelman and SAS and founding director of the Penn Epigenetics Program. 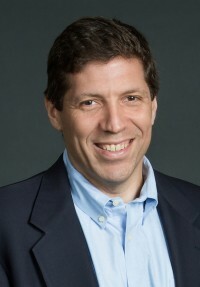 Dr. Goldberg is the Vagelos Professor of Energy Research in the department of chemistry in SAS and inaugural director of the Vagelos Institute for Energy Science and Technology. 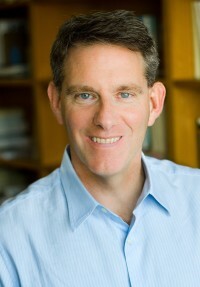 Dr. Berger studies mechanisms linked to aging, neurodegenerative disease, cancer and fertility. 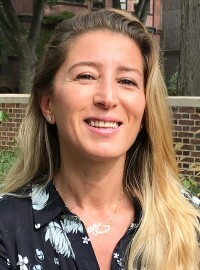 Her research focuses on complex on-off switches on DNA’s packaging material that control how cells form genetically identical yet diverse tissues in an organism, and how those switches respond to environmental factors such as diet, exercise and stress to create heritable traits without changing the underlying genetic code. Dr. Goldberg leads research focused on the development of new catalytic systems to efficiently produce chemicals and fuels from a range of available feedstocks. 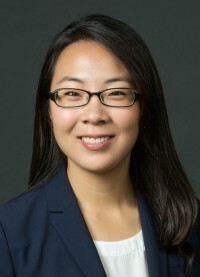 Her group is interested in transforming both highly saturated feedstocks, such as natural gas and alkanes, as well as highly oxygenated materials like CO2 and those found in biomass. Using catalysis, her group seeks to develop new environmentally responsible and economically viable methods to convert these feedstocks to more valuable organic products. 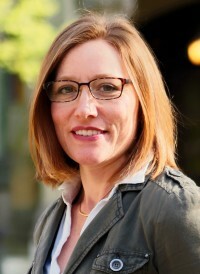 Julie Fairman, the Nightingale Professor in Honor of Nursing Veterans and chair of the department of biobehavioral health sciences in Penn Nursing, will deliver the Garrison Lecture as part of the 91st gathering of the American Association for the History of Medicine (AAHM) in Los Angeles May 10-13 at the UCLA Meyer & Renee Luskin Conference Center. The Garrison Lecturer is a scholar distinguished for contributions to medical history or other fields of science and learning, who presents original and previously unpublished research. Dr. Fairman’s lecture “We Went to Mississippi: Nurses and Civil Rights Activism of the mid-1960s,”will be the first Garrison Lecture delivered by a nurse. 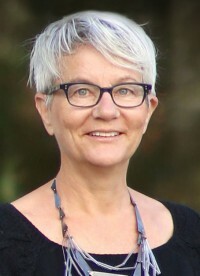 Christina Frei, executive director of language instruction for SAS, academic director for the Penn Language Center and GSE adjunct associate professor, received an NEH Digital Humanities Advancement Grant to study how four indigenous communities, with whom her team collaborated on a Digital Humanities Start-Up Grant to digitally repatriate archival materials, have used those materials in culture and language revitalization efforts. Penn Medicine has received a 2018 CIO 100 Award from the CIO division of IDG Communications, Inc. The 31st annual program recognizes organizations around the world that exemplify the highest level of operational and strategic excellence in information technology. Penn was selected for becoming the first academic medical center in the U.S. to deploy an integrated electronic patient health record (PennChart) across the ambulatory, inpatient and homecare/hospice settings—moving from paper-based patient charts and records. The project started in 2008 using a phased deployment approach. Over time, nearly 28,000 employees were trained to prepare for full implementation. The project was completed in 2017. Among their benefits, electronic records promote a team-based approach to care and provide decision-making support, including warning of potential problems, such as inappropriately combining medications, and providing suggestions for the clinical team and patient to consider. 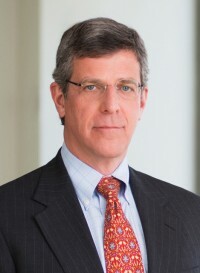 In part as a result of successfully implementing PennChart, Penn Medicine is being evaluated for Level 7, the highest electronic-medical-record adoption level issued by the Healthcare Information and Management Systems Society, a nonprofit organization that promotes the best use of information technology and management systems in the health care industry. Additionally, in 2017 Penn Medicine was awarded “Most Wired” status by Hospitals & Health Networks magazine (for the ninth time) for the successful deployment of technology to support patient care. Penn Medicine has been named #6 on Forbes’ magazine’s annual “Best Employers in America” list ranking large employers across the nation, up from #7 in 2017. Other organizations listed in the top ten include Google, Trader Joe’s, and the Michelin Group, placing Penn Medicine among some of the most prominent companies in the nation–and first both in Pennsylvania and among all health care employers. 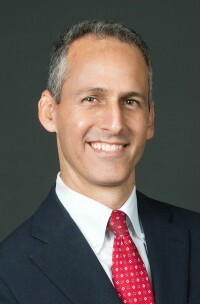 Penn Medicine–which includes the University of Pennsylvania Health System and Perelman School of Medicine–offers a culture dedicated to teamwork and professional development, with wide-ranging career opportunities for physicians, nurses, researchers, many other health professionals, administrative and support staff. A suite of best-in-class benefits offered to Penn Medicine’s workforce includes a generous employer-matching retirement plan, a robust tuition assistance program that has provided millions of dollars in assistance benefits to employees, and a top-tier health care plan that offers access to the same cutting-edge care that makes Penn Medicine a national leader in patient care. Penn Medicine faculty, staff, and students are also encouraged to share their knowledge and skills to benefit the community through free health clinics and screenings, disease prevention and treatment education, support groups for patients and their families, and health care career development. Through its unique CAREs Grant program, Penn Medicine employees can receive financial support for the purchase of supplies and other resources needed to perform this important work in the community, which is a key pillar of Penn Medicine’s mission. Beginning in 2017, Forbes partnered with research firm Statista, of Hamburg, Germany, to build its list of best employers. Statista surveyed 30,000 Americans who work for businesses with 1,000 or more employees, asking how likely they would be to recommend their employer to others. Today, with more than 39,000 employees, Penn Medicine, in combination with the University of Pennsylvania, is the largest private employer in Philadelphia. The health system includes six hospitals—the Hospital of the University of Pennsylvania, Penn Presbyterian Medical Center, Pennsylvania Hospital, Chester County Hospital, Lancaster General Health, and Penn Medicine Princeton Health—and many outpatient locations throughout Pennsylvania and New Jersey. In its inaugural year, The Sachs Program was able to support 23 projects, distributing a total of $123,000 in arts funding to a diverse spectrum of artists, scholars and cultural centers at Penn. These grants are the first steps in their long-term plans to advocate for the arts across the University. 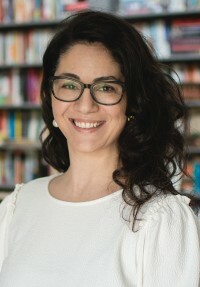 Beth Linker, graduate chair and associate professor of history and sociology of science, has received an NEH Fellowship for her project Slouch: The Hidden History of America’s Poor Posture Epidemic. As previously published, she was also awarded an ACLS Fellowship for the same project (Almanac May 1, 2018). 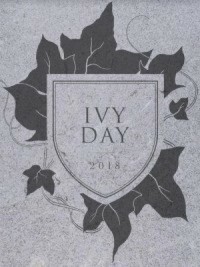 The Class of 2018 Ivy Stone was designed by Jieun Yoon, C’17, and was made from Vermont gray granite. The stone will be installed in the Penn Commons Plaza. The following awards will be presented during the Ivy Day ceremony on May 12. The following awards were presented at different award ceremonies this semester. Christine Chung, MLA’18, has been awarded a 2018 LAF Honor Scholarship in Memory of Joe Lalli, FASLA, by the Landscape Architecture Foundation. Her interest in cultural landscapes and urban communities was inspired during an undergraduate research project that questioned heritage preservation practices in Vancouver’s historic Chinatown. It advocated for place to be perceived not merely as a collection of physical artifacts, but also taking the form of oral histories, social practices and street life in between buildings. 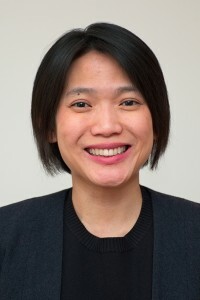 Ms. Chung intends to continue her engagement with on-the-ground projects designing for community heath, providing opportunities for civic participation in design processes, inspiring dialogue and tools for environmental stewardship and designing urban landscapes that allow for culture to live and breathe. 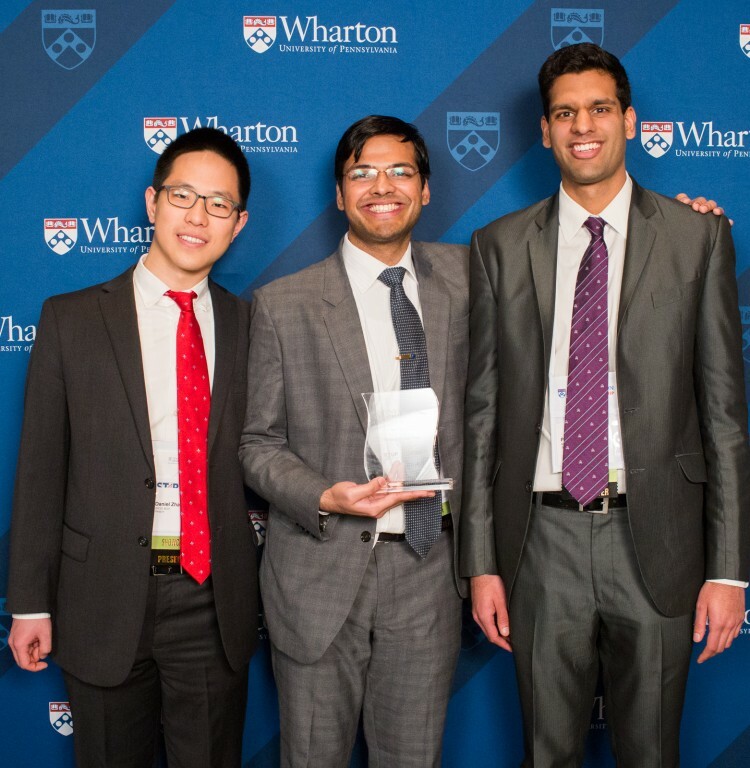 Sanguis—founded by Divyansh Agarwal, GR’23, M’23; Prateek Agarwal, M’19, WG’20; and Daniel Zhang, GR’23, M’23—won the second annual Penn Wharton Entrepreneurship Startup Challenge on April 27. Sanguis has developed the world’s first hand-held, portable and inexpensive blood cell counting device, allowing patients to monitor their health during chemotherapy treatment and detect life-threatening conditions. The grand prize awards $30,000, plus $15,000 in legal, accounting and strategy services. The medical device measures neutrophil levels, the body’s primary infection fighting cells. When neutrophil counts go down, the body loses its ability to fight infections. With Sanguis, patients can easily test their neutrophil levels at home. Nearly 15,000 chemotherapy patients die each year from infections and other complications that rush in when the body is unable to defend itself, and Sanguis aims to reduce that number drastically. Previously, Sanguis was a member of VIP-Xcelerate, Penn Wharton Entrepreneurship’s three-month accelerator program for the most advanced startups and recipients of the Penn Wharton Innovation Fund. Graduate and professional programs follow their own calendars with different registration/drop deadlines, which are typically available on the website of the school or program. The College of Liberal and Professional Studies may have different registration/drop deadlines. Please visit the LPS website, www.sas.upenn.edu/lps/ for more information. The University’s Three-Year Academic Calendar is subject to change. Come celebrate Bike to Work Day at Penn on Friday, May 18 from 7:30-9:30 a.m. Penn bicyclists are invited to stop by the Energizer Station at the Penn Museum Indego Bike Share Station, near the corner of 33rd and South Streets, to learn about various bike resources found on or near Penn’s campus. Cyclists who stop by the #BikePenn event can take a selfie with fun props. There will be giveaways from many of the participating organizations such as snacks and beverages along with bike lights and bike checks. There are even chances to win cool bike gear! 20 Springfield Mills at Morris Arboretum; Opening Day celebration with grist mill demonstrations; 1-4 p.m.; Bloomfield Farm; info: www.morrisarboretum.org (Arboretum). On Tuesday, May 22 on the second floor of the Inn at Penn, Penn Human Resources is hosting its semi-annual Thinking About Retirement event for faculty and staff. There will be presentations by Social Security, Medicare/Penn Benefits and Vanguard. Income in Retirement; 10:30 a.m.-noon; 1-2:30 p.m.; Woodlands Ballroom C.
Social Security; 10:30 a.m.-noon; 1-2:30 p.m.; Woodlands Ballroom B.
Penn Benefits & Medicare; 10 a.m.-noon; 1-3 p.m.; Woodlands Ballroom A. If you have any questions, contact Lou Caccamo at lcaccamo@upenn.edu or (215) 898-4436. Make plans to attend the Penn Supplier Diversity Forum & Expo on Wednesday, May 23. This event will bring together suppliers, University buyers, local agencies and organizations from across campus and throughout Philadelphia to celebrate supplier diversity; showcase the resources available to local, diverse and small businesses; and provide an excellent opportunity for business networking. 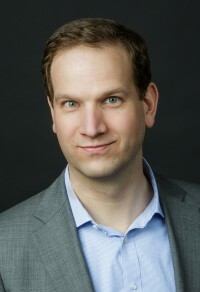 Evan Urbania; CEO and Co-Founder, ChatterBlast Media. Poster Sessions by several community organizations will be conducted prior to the Forum from 10:30-11 a.m.
From noon-2 p.m., members of the Penn buying community are also invited to visit the outdoor Expo celebration on College Green along Locust Walk between 34th and 36th Streets. Local and diverse suppliers will be in a large tented area where they will showcase their services and answer questions from event-goers. A variety of tasty samples also will be available from many local caterers. Advance registration is required to gain access to the Forum and the Expo’s tented area to visit with the suppliers. Registration is available at www.upenn.edu/purchasing in the “Purchasing Events” section. The Penn Supplier Diversity Forum & Expo is hosted by the University of Pennsylvania under the auspices of the Offices of the President, EVP, Government & Community Affairs and Division of Business Services. Members of the University of Pennsylvania and the University of Pennsylvania Health System communities are invited to the 2018 Spring Housing Fair hosted by Penn Home Ownership Services (PHOS). This annual event will be held on Wednesday, May 23 from 11 a.m. until 2 p.m. at the Penn Presbyterian Medical Center, W-86, located at 51 N. 39th Street. The fair is a convenient one-stop resource for attendees to meet face-to-face with representatives from PHOS, its featured lenders and other exhibitors who will be on premises to address questions about the home buying process, along with the Forgivable Loan and Closing Cost Reduction Programs provided through the PHOS office. Admission to the event is free. Please visit www.upenn.edu/homeownership or call (215) 898-7422 for more information. Below are the Crimes Against Persons, Crimes Against Society and Crimes Against Property from the campus report for April 23-29, 2018. View prior weeks' reports. —Ed. This summary is prepared by the Division of Public Safety and includes all criminal incidents reported and made known to the University Police Department between the dates of April 23-29, 2018. The University Police actively patrol from Market St to Baltimore from the Schuylkill River to 43rd St in conjunction with the Philadelphia Police. In this effort to provide you with a thorough and accurate report on public safety concerns, we hope that your increased awareness will lessen the opportunity for crime. For any concerns or suggestions regarding this report, please call the Division of Public Safety at (215) 898-4482. Below are the Crimes Against Persons from the 18th District: 8 incidents (1 aggravated assault, 1 indecent exposure, 6 robberies) were reported between April 23-29, 2018 by the 18th District covering the Schuylkill River to 49th Street & Market Street to Woodland Avenue. There will be no issue on May 15 due to Commencement. There are two more issues after that, on May 22 and May 29. Almanac will then have one mid-summer issue on July 17.